Russia, the world’s second-largest producer of natural gas, has launched its first auction of natural gas on Friday at the St. Petersburg International Mercantile Exchange (SPIMEX). It will be Europe’s largest natural gas trading post. The project is intended to create a more competitive market for natural gas prices, which at present are more-or-less tied to oil. Now, independent producers will have access to a broader range of buyers. The exchange will facilitate up to 35 billion cubic meters of gas annually, with Gazprom, Russia’s largest producer, maintaining the right to sell a half of that, and independent producers the remaining 17.5 billion cubic meters. During the first trading session, Gazprom and eight independent gas producers will sell 882.6 million cubic meters of gas for November volumes. The gas will be delivered to two compressing stations - Nadym (552.6 million cubic meters) and Vyngapurovskoye (270 million cubic meters), which are connected to Russia’s gas transportation system (GTS). The supplies are not eligible for re-sale. The head of the exchange, Aleksey Rybnikov, opened trading which will run until 3pm local time (11:00 GMT). Friday’s auction launched bidding for delivery in the next month, but in the future the exchange plans to evolve into weekly and daily trading. "Our mission was to create the conditions to ensure these auctions were executed. At the St. Petersburg Stock Exchange, we plan to start organized gas trading. This is a fairly lengthy process.Before, there were preliminary algorithms associated with trading platforms that Gazprom put together. Our task now is that these are acceptable to all,” Deputy Energy Minister Kirill Molodtsov said Thursday. 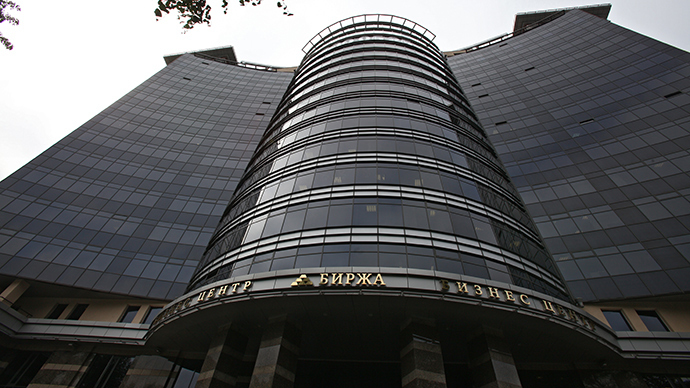 SPIMEX is the largest commodity exchange in Russia. Igor Sechin, CEO of the world’s largest listed oil company, was appointed chairman of its board of directors in May. SPIMEX was first registered in May 2008, receiving its official license to trade the following month. In September 2008, the exchange registered its first trades in diesel and jet fuel. It now offers spot and derivatives contracts, and covers a wide variety of petroleum products.